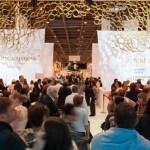 Mode City is the most popular European fair of lingerie market. The event takes place in the international capital of fashion, chic and style – Paris. Since 2011 the summer edition of the fairs has been rescheduled from early autumn to the actual summertime and this year it was held between 7-th and 9-th of July. Lingerie, swimwear and hosiery trends for season spring-summer 2013 were presented there. At the same time, another fashion fair took place – Interfiliere Paris – where materials and underwear production accessories were exposed. 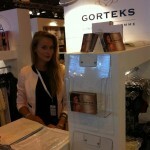 At the Mode City Paris 2012 the whole elite of lingerie fashion industry appeared. That included about 15 thousand people: top designers, famous producers, big distributors and of course retailers. All in all you could admire above 430 brands from all over the world. 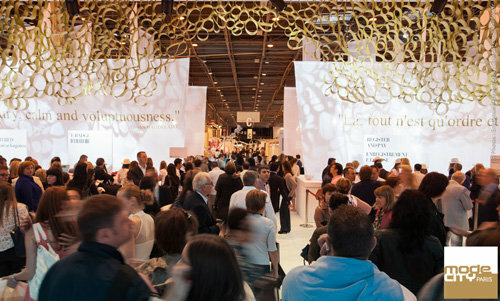 Most visitors were of course French but it is worth mentioning that 73% people there came from all over the world, e.g. Italy, Germany, the UK, Hongkong, Spain, Russia, the USA, China and Japan. There were even some visitors from Ukraine, Kazakhstan, Saudi Arabia, United Arab Emirates and Oceania. The three days long fashion event was reported by many international media – tv, radio and of course press. The strong group of expositors consisted of Polish producers and manufacturers – many of them you can find at Lingerose.com. The products of: AVA, AXAMI, GAIA, GORTEKS, GRACYA, KINGA, KOSTAR, MAT were presented at the fair and the hosiery expert – GABRIELLA was also present. Those manufacturers had already been the participants of Paris fashion fair, but in this edition they have conquered the major catwalk for the first time. All of the brands have presented their collections for spring/summer season 2013. The most popular was female lingerie, but also some manly underwear was shown. Polish designers traditionally attracted visitors not only with their high quality products, but also with some original ideas for their stands’ expositions. For example Gracya showed some national Polish colors in the exhibition (last year it was inspired by unique baroque costumes) and Axami created stewardess outfits for their hostesses. The visitors were touched by cooperation of seemingly competing companies from Poland. The demand for our national products is constantly growing so each presence at such an event is very important for the brands. As it turns out – many clients has remembered those manufacturers from fashion fair in 2011 and they were very happy to see them again.